One day in Basel Switzerland is not enough, but one day in any new country leaves me wanting more. 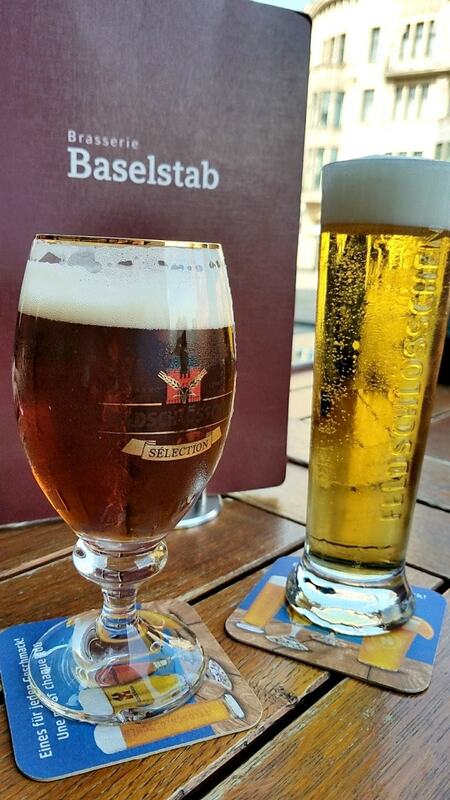 Our trip with Viking Cruises began in Basel where we would journey up the Rhine River ending in Amsterdam. On a recent trip along the Rhine River with Viking River Cruises, we started our journey in Basel Switzerland. After a long flight from Florida, we dropped our bags at the ship, had a quick bite to eat, and spent the rest of the day exploring. Viking really does want to make sure you see as much as you can, which is why they offer so many excursions. 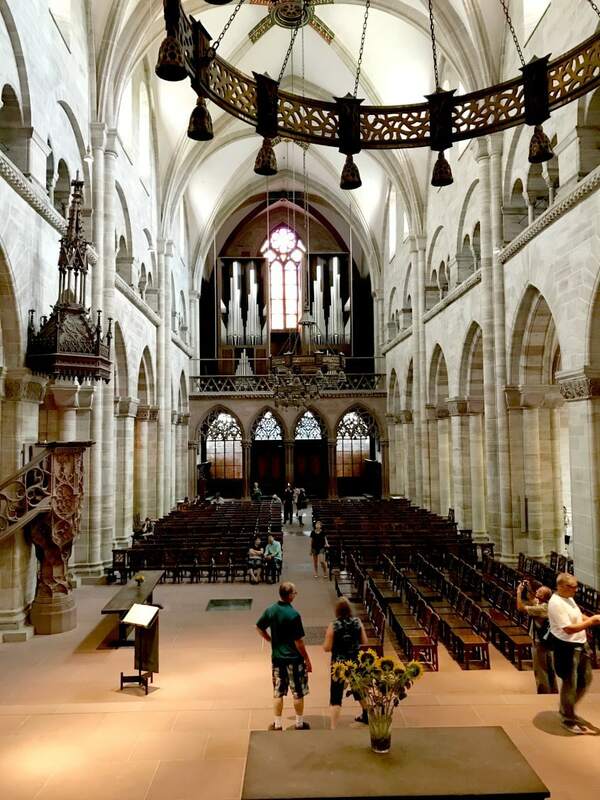 Though a tour of Basel was not listed in our program, I was told by a friend that she had gone on a tour with guide from Viking as soon as she arrived. 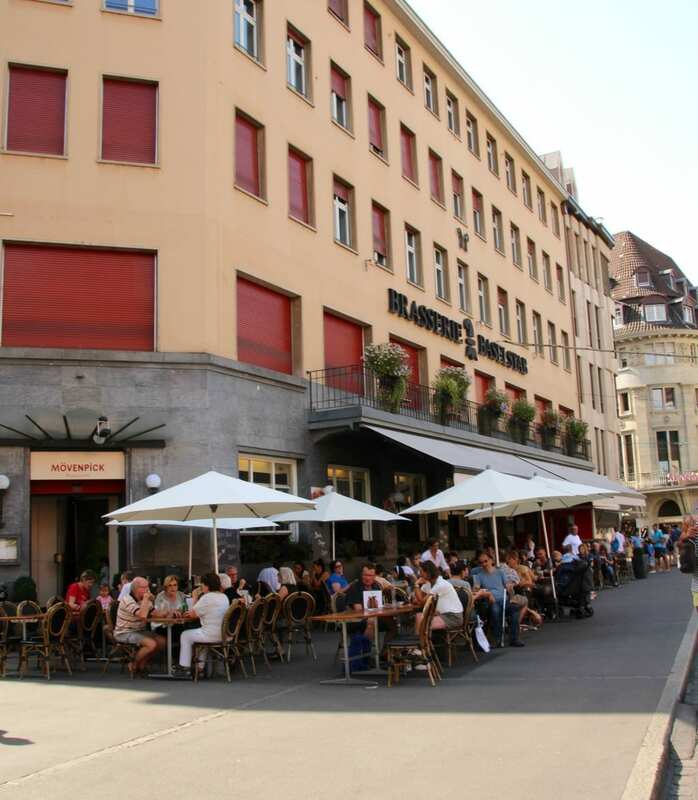 I was thrilled to find we were also invited to go on a Welcome Walk through Basel’s city centre. 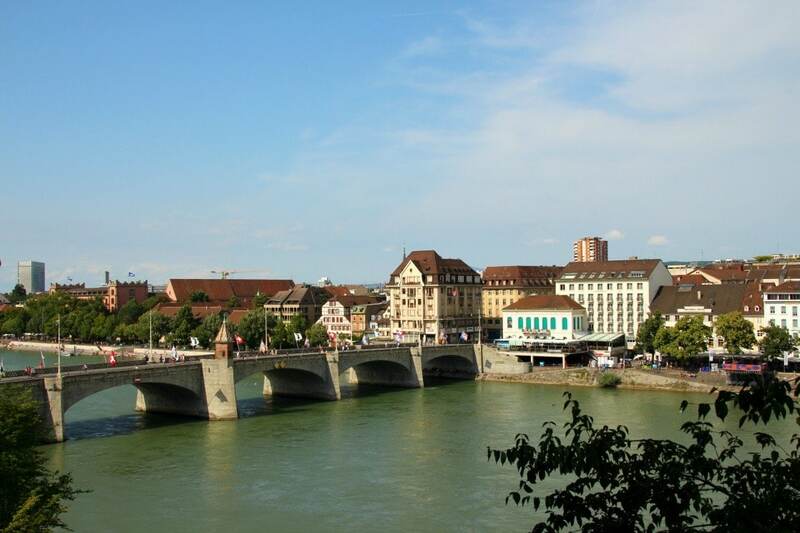 In case you aren’t familiar with Basel, it’s adjacent to both Germany and France, with the Rhine River dividing the two. It’s not far from the Black Forest and Alsace in France, both of which we visited while on the Rhine Getaway. More to come on both soon. 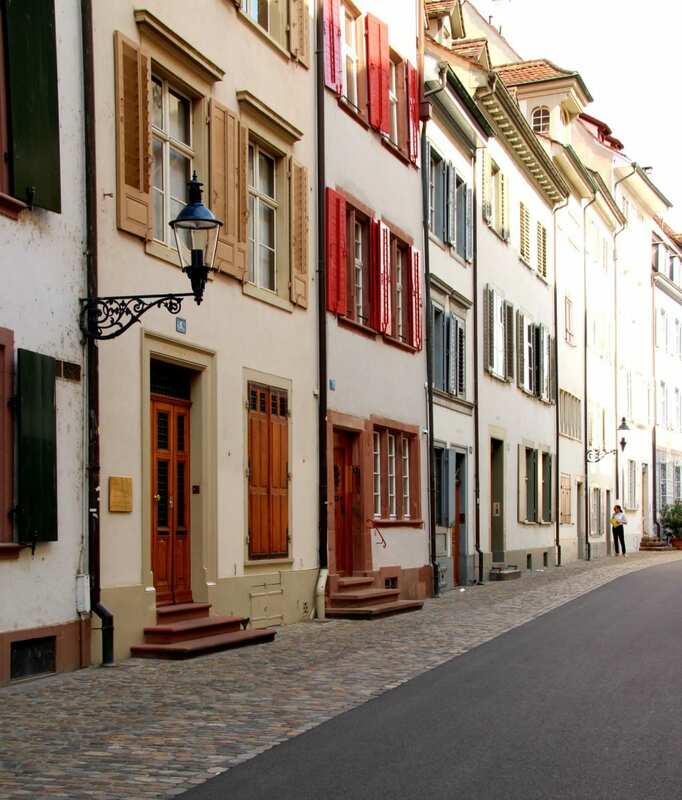 Basel takes pride in being the home to forty museums from Fine Arts to Science to History. I wish we could have spent more time there. I know my girls would have loved the quirky Cartoonmuseum being that they both want to be animators. There never is enough time to see it all! The architecture in Basel is spectacular, and no wonder; many of the modern buildings were designed by some of the most distinguished architects in the world. With two communities on either side of the river, Grossbasel and Kleinbasel, the Basel Middle Bridge, first built in 1225, unites the city. You can see below that the river is used for more than trade! On this warm summer day, people were enjoying a refreshing float. From a distance, it looked like everyone was using a big balloon-like flotation device. After researching, I found it is a Wickelfisch, which is simply a waterproof bag you can put your clothes in so you can put them back on once you were ready to get out. How cool is that? 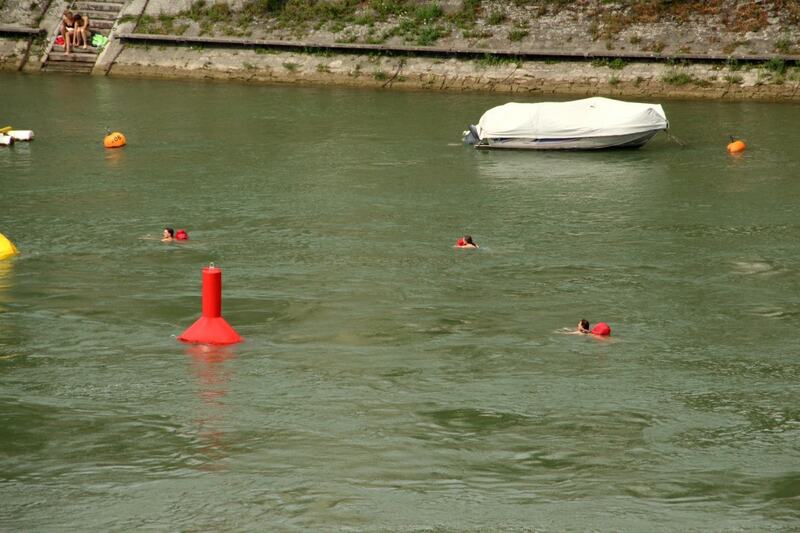 The Wickelfisch is not really meant to aid in floating, and only good swimmers should be in the Rhine, according to what I read. The water is also cold, so beware if you dare! 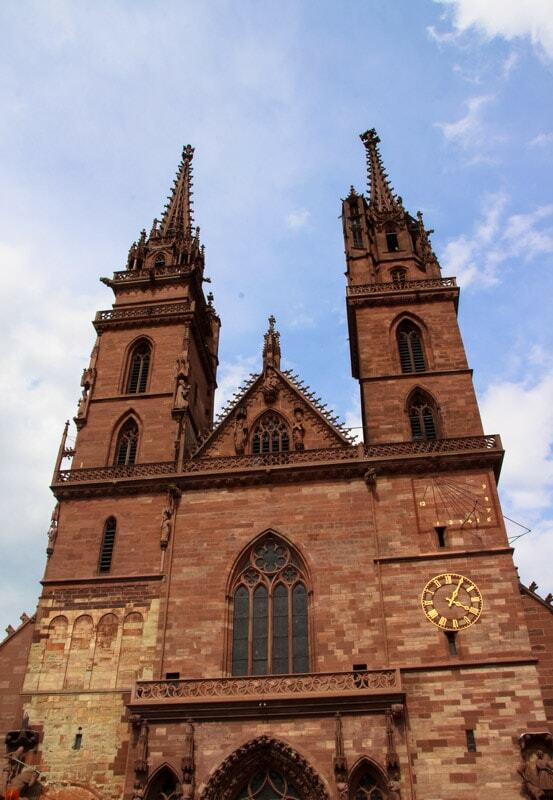 Basel is home to Basler Munster, a cathedral built over five centuries, from 1080 to 1529, on the bank of the Rhine. 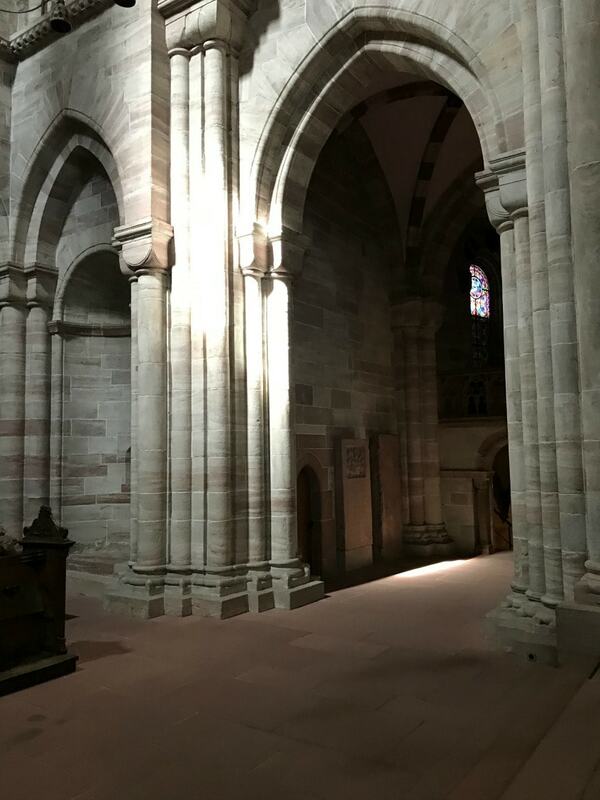 Many of the artifacts from this stunning cathedral are on display at the Met. It’s quite an impressive treasury, including gold crosses adorned with diamonds and rubies. I plan to be in New York city in January and hope to make time to see the collection. You’ll see two towers below. One is the St George Tower, on the left as you’re facing it. 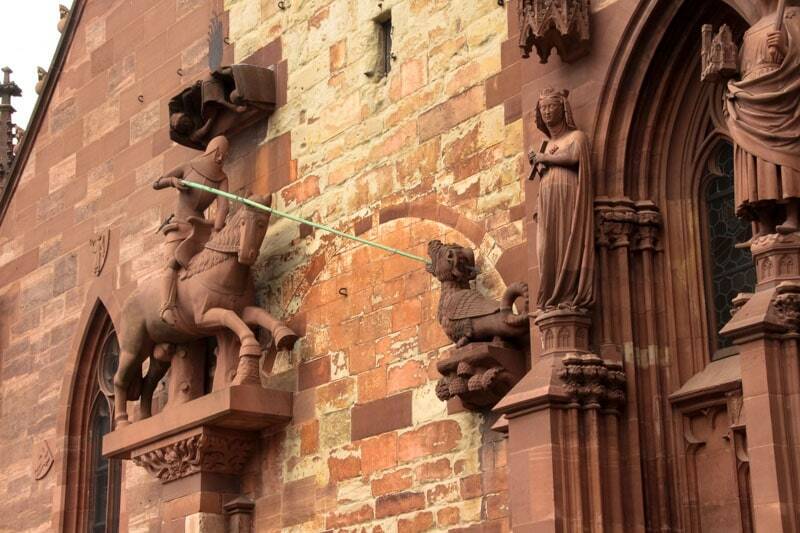 The above photo is a statue of St. George, dressed as a knight, slaying a dragon. 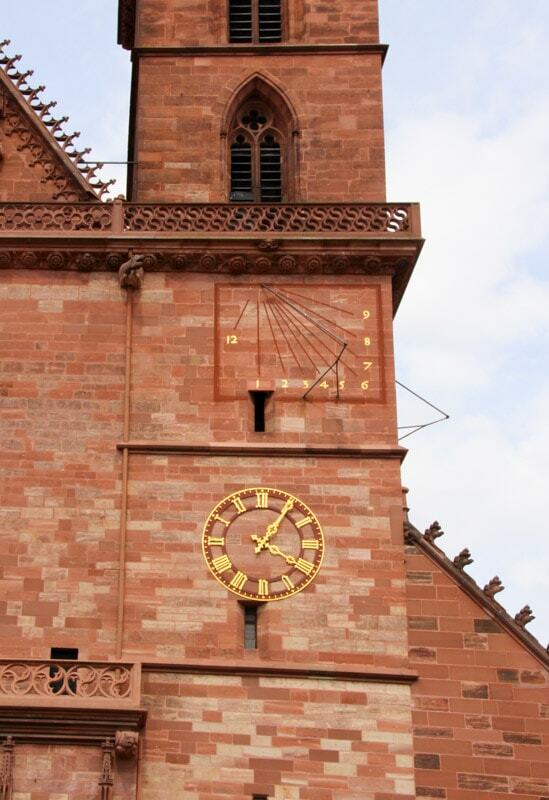 On the right side just above the clock, you’ll find a sundial called Martinsturm, which was completed in 1500. The inside of the cathedral is spectacular, too. The way the light played on this doorway caught my eye. The piazza where the church is located is used for concerts today and is a very popular place to hang out with friends. 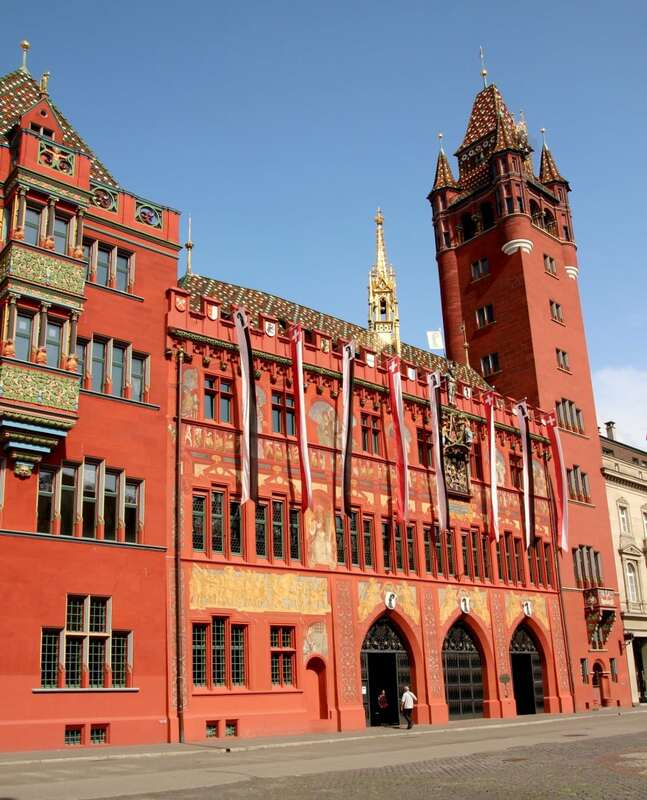 Another gorgeous building in Basel is the Rathaus, or City Hall. This is the seat of the Basel government as well as its parliament. The crenelations are adorned with twelve coats of arms, including Basel’s and the eleven other cantons that made up the Swiss Confederation in 1504. Just across from this building is a street lined with shops and cafes. We had just enough time to grab a table and have a beer before it was time to head back to the ship. So much history and so little time! I wish we had been able to explore more. I have read the Christmas Market in Basel is incredible, too. 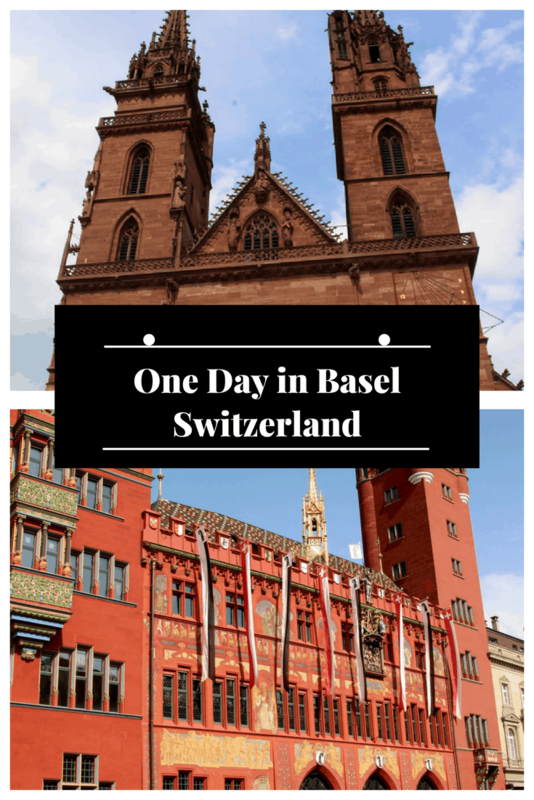 Taking a walk with a guide is the best way to see Basel Switzerland in a day. Leave it to Viking Cruises to make sure we were able to see some of this beautiful city before we cast off at 7 pm. 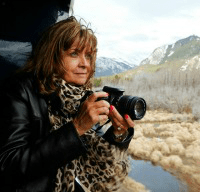 Have you been on a Viking River Cruise? 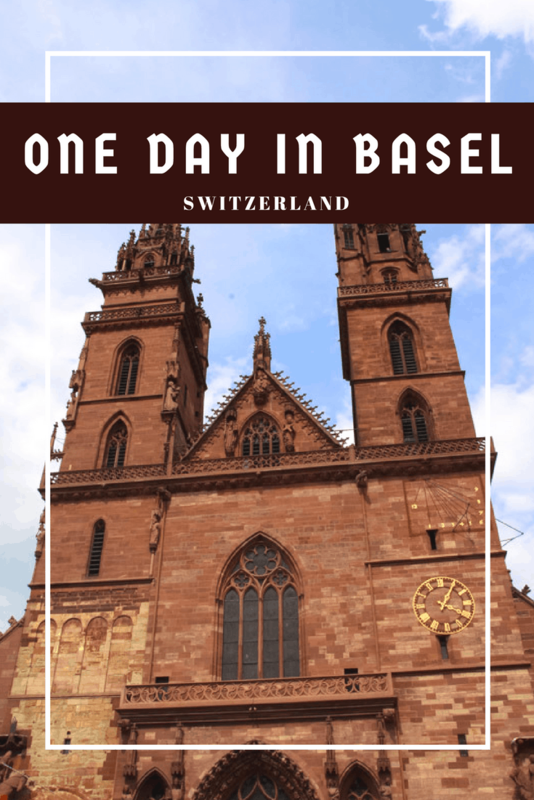 Have you been to Basel? I’d love to read about your experience. Share in the comments. And if you’ve thought about making it a family cruise with your older kids, just book it. We made memories that will last a lifetime! You should really take a look at Viking Ocean Cruises, too. We’d like to try cruising on the Viking Star or one of their other new ocean cruises. River or Ocean, you will fall in love with Viking, too! Love this post and want to save it for later? Please PIN to Pinterest so others can see it, too. Thank you! Many thanks to Viking River Cruises for hosting me on this trip. Switzerland is such a gorgeous country. I’ve only been there once, but it was enough for me to think about going back all the time. Basel is really beautiful. We haven’t had a chance to visit Switzerland yet, but it’s on our list. I think Basel will probably be our first stop. 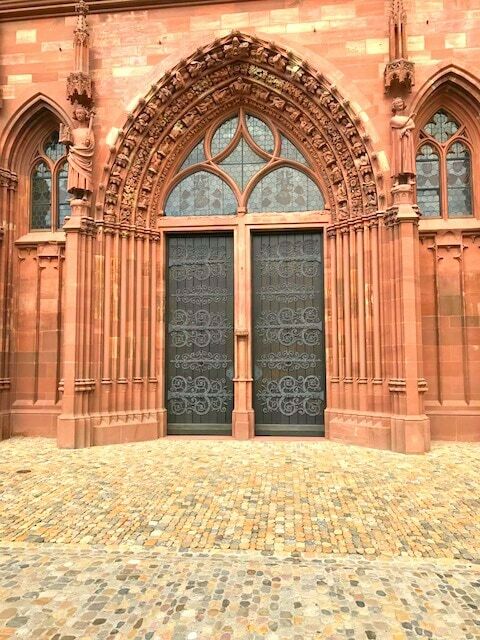 I am in love with the architecture of those buildings in Basel, what a gorgeous place to visit. I don’t think I would want to spend just one day there, but you were able to showcase so many beautiful structures in just one day! Thanks for sharing. I’ve been hearing a lot about these cruises. I have now added it to my list to do soon! I have always wanted to visit Switzerland. It looks like such a cool place with so much history. Oh wow! I’ve never visited before and it’s so nice to know that it’s one of the stops when you’re on a Viking cruise! It’s really beautiful and peaceful too! The cathedral was really impressive. Both the interior and the exterior were beautiful! This sounded like a cool experience! I have never been on a Viking River Cruise but when it includes beautiful stops like this city in Switzerland, I am SO in! 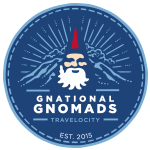 I’d love to check out their rates and their routes as well. It’s really beautiful out there, the architecture is stunning! What a gorgeous place to visit. I’d love to take a trip like this with my kids. This looks so amazing! I love the history and architecture. The cathedral is so breathtaking. I love to see ancient buildings like this and imagine what life was like when it was built. I need to explore Switzerland! I want to take a Viking cruise! Your pictures are amazing! I can see why one day isn’t enough! I adore history, but the majority of my experience is with US history. I would love to see more of the world! Switzerland looks amazing! Wow your photos are stunning. I would love to go here one day! Wow. These are beautiful buildings! I haven’t traveled that far in Europe, but I wish I could and see all these for myself. I can’t believe how intricate those statues and the designs on the facade. St. George Cathedral is massively awesome inside and out!